Chris Strebe loves to push a button and have the machine do what would take him many hours to do manually. “I know it sounds like a cliché,” he says, “But I have built my company on two sayings: ‘Work smarter, not harder,’ and ‘Keep it simple stupid." Strebe is president of Kris Kraft Cabinet Co. in Yuma, Ariz., and specializes in production of custom casework with a high volume-to-employee ratio because of all the automation and standardized processes. Strebe’s son is shop foreman and has been working for him for 10 years. Kris Kraft’s custom specialist has been working for Strebe for 22 years and his helper has been with him for five years and has 30 years of experience. The company has a 5,000 square foot main building with 3,600 square feet for manufacturing of laminated commercial casework and acrylic solid surfaces for schools, hospitals and municipal buildings. 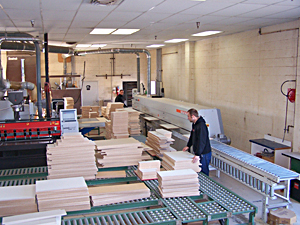 An additional 2,100 square foot building is used to store materials and make countertops. Parts then go to a Holz-Her edgebander. Even though the edge of the parts do not need to be pre-milled it is done anyway. “The reason for this is because if we had Cabinet Vision subtract the .5mm for the thickness of the banding then all of the part dimensions and lists would read, for example, 599.5mm instead of 600mm so to keep things easy to read at a glance we pre-mill the thickness of the banding off of each part,” Strebe says. As the parts come out of the edgebander they are sorted. Case parts go back onto the roller line for doweling/assembly. Shelves go onto a pallet and get shrink wrapped. Doors go on a specially built cart and are sent to the hinge machine. Next, the parts that need doweling go to a custom designed Gannomat doweling machine and the parts that are ready for assembly go to the assembly area. The cabinets are then assembled on a table is on top of a scissor lift so the operator doesn’t have to bend over. They also have the ability to lower the table and slide the assembled cabinet into a Gannomat Concept 90 case clamp. After the cabinets come out of the case clamp they are stacked in rows and the doors and drawers are then installed. A new Gannomat Express S1 drilling and insertion machine didn't do everything that Strebe needed it to do initially. Gannomat worked with him and modified their software to his specific needs. 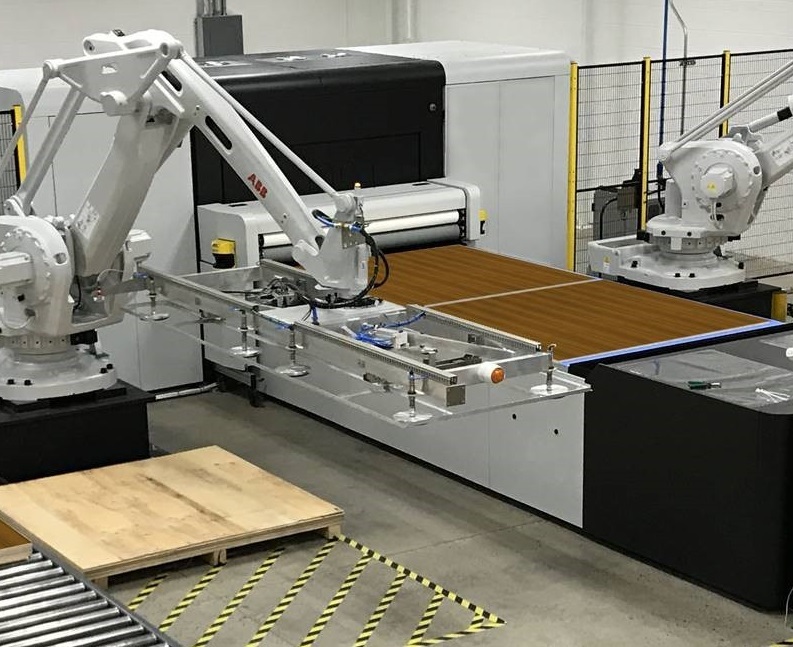 “After their software modifications I now have a single parametric program that uses the same parametric formula that I had customized in the Cabinet Vision software,” Strebe says. “This now gives us the ability to place any sized door in the Express S1 and it will auto-measure the door and locate the hinges on the doors to line up precisely with the mounting plates on the cabinets, all without having to do any measuring by hand. "You can put a door that requires two hinges in one side of the machine and a door that requires four hinges on the other side of the machine and it will automatically drill and insert the hinges at the correct locations,” he says. Previously, Kris Kraft used a two-head Gannomat for this work. “One head was fixed and the other head was manually indexed to the size of the door,” Strebe says. “This was fine if a door only had two hinges but if a door needed three, four, or five hinges things became complicated very quickly and a lot of measuring and manual indexing had to be done. Gannomat Index drill and insert doweling machine, and Hendrick HP3 computerized vertical panel saw. Also in the shop are a Vaculex vacuum lift, Precision Parts Concepts saw with a TigerStop fence, Kaeser vacuum pump and air compressor and LMC Pulse Jet dust collector (now Donaldson Torit). 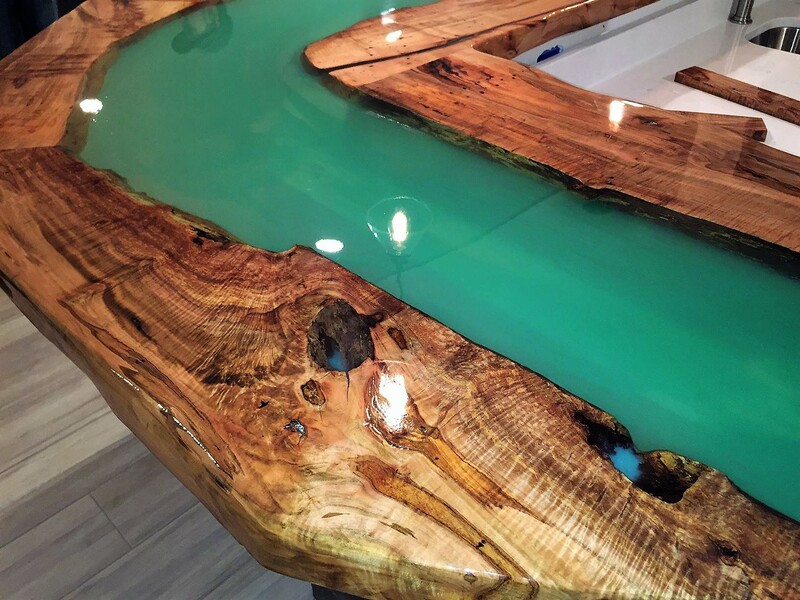 Materials used include melamine, particleboard, plywood, laminates, and acrylic solid surfaces. No finishing is done here. “Our main customers are general contractors but we will do work for anyone as long as it is laminate casework,” Strebe says. “Last year our main jobs were a school in California, local marine base, and the local hospital. How has the process been improved? 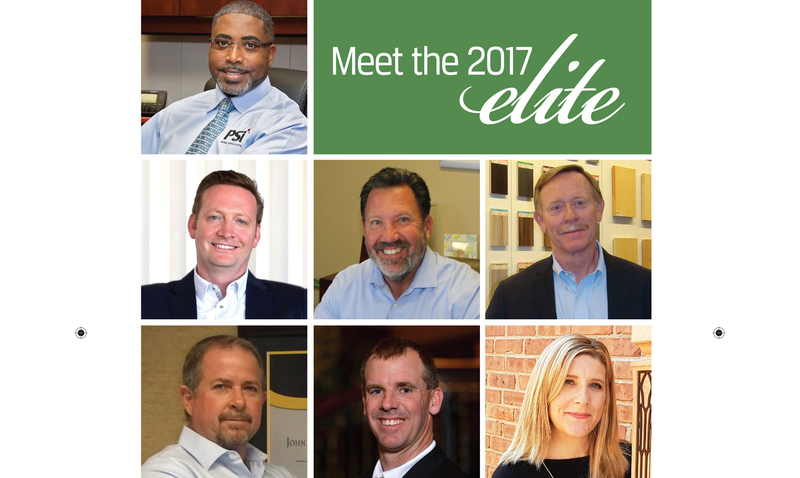 “We have been using the same processes and systems for the last 15 years but because of the advancement in the technology of equipment we have been able to increase our productivity by replacing older slower machines with newer and faster machines. For example, the new custom-built Busellato nesting machine shaved approximately two minutes per sheet off of the machining time. With the old Busellato nesting machine the average run time was six minutes per sheet. With the new Busellato nesting machine the average run time is now four minutes. The new custom built Gannomat drill and insert dowel machine reduced the run time in half. To drill and insert dowels on a standard 24-inch deep base cabinet bottom or fixed shelf, the old Gannomat machine took 22 seconds. With the new Gannomat machine the same part now takes 11 seconds. As far as future plans go, Strebe says that one goal is to improve handling and storage of the cabinets after fabrication. Currently, the company sometimes rents space for completed cabinets, but may build an addition with a loading dock.